Since picking up a camera, I’ve always been a Canon shooter. Having grown so in tune with them I can just about operate them in my sleep. I’ve shot with just about every camera in their lineup over the last 20 years and have used just about every lens at some point or another. They continue to this day to produce some outstanding bodies and lenses. As any photographer knows, after years of shooting with a system, you grow accustomed to it, you know all the little nuances, it becomes a tool in your kit. 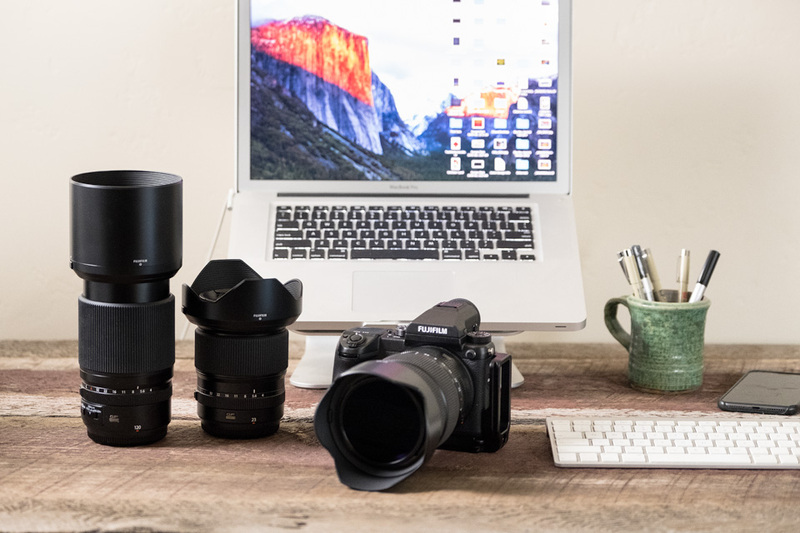 The prospect of parting ways with these comfortable tools and all the thousands of dollars in lenses you’ve aquired can make any photographer a little bit queasy just thinking about it. It has to take a pretty significant reason to get someone to take that leap. In the early days of mirrorlesss, I remember being very attracted to the ergonomics, form factor, and weight savings, but was put off by the laggy EVFs (electronic viewfinders), poor autofocus, and weird menu systems. I even picked up a few to use as second bodies and casual use, but couldn’t get around some of these early shortcomings. Now fast forward to 2018, heck even back a few years ago and boy have things changed! If you haven’t picked up a mirrorless body in a while, you may be quite shocked at what you find today. Companies like Sony, Fujifilm, Olympus and Panasonic have been hard at work refining the technology in their cameras and listening to photographers. Yes actually listening to photographers! They are creating some of the most capable mirrorless cameras we’ve seen that are fitting the many different needs of photographers across the board. So what changed for me? Well first off I was getting tired of lugging around too much weight and the prospect of incorporating a mirrorless as a second body replacement was looking more and more attractive. Also, I had grown a little tired of what seemed like a lack of innovation from Canon in the area of body design, ergonomics and features compared with what mirrorless companies were doing. Seeing what was being offered in mirrorless by comparison, coupled with a significant reduction in cost and weight, well the writing was on the wall. For those purists out there, moving from an optical viewfinder to an EVF is a big leap, or at least so it seems so at first. EVFs have come a long way, even from a few years ago. Now the lag time is almost non-existent, the color is superb and overall image resolution is very detailed. This is the big one and probably one of the major reasons most switch over. Mirrorless saves a ton of weight, with most shaving off at least half if not more. The bodies of course are smaller, but so are the lenses and this all adds up to more weight savings. Over the years I’ve developed the bad habit of bringing too much gear with me on my travels and like many, I’ve grown a bit tired of lugging it all over the place. Simplifying your setup with not only less weight, but also less gear can help focus your creativity and give your back a break. This one’s just an added bonus. No matter how you shake it you’re going to save some money compared to larger DSLR systems. Depending on the system, lenses are usually a lot less and bodies can be half of the cost of a DSLR depending on the system. When I sold off all of my Canon gear, even at used prices, I was able to replace it all with new Fuji gear without any additional out of pocket, giving me a lot more for my money. With all the innovation in mirrorless body design, I think that the praise for mirrorless lenses can sometimes be overshadowed. While it’s easy to be distracted by the amazing tech that’s being put into current bodies like Fujifilms’s X-H1, Olympus’s E-M1 MKII or Sony’s a7 III, I think it’s important for new photographers or those switching over to understand that these companies are producing some of the finest, well designed, optically significant, and best lenses out there. Now I’m not trying downplay Canon or Nikon, because they’ve also created some of the best lenses in the industry, but when you consider what you are getting are as good or better in many cases, at a considerable weight and cost savings, it becomes another factor when considering the switch. One of the main negatives I’ve ran into so far is battery life. There is just no getting around this one with our current tech, so you’re basically stuck carrying more batteries in your bag. Not a huge deal but if you’re doing any wildlife or sports stuff, be prepared to carry quite a few. With my Fuji X-Pro2 I’m carrying around six batteries and this will get me through just about anything in a day, although I usually might go through just a couple. My medium format batteries with the Fujifilm GFX are much better, last longer, but also larger in size. The other negative you might consider when switching is lack of professional support and service compared to Nikon or Canon. If you are shooting professionally, you might consider this and prepare in cases where you need expedited repair or servicing. I would anticipate these things to improve as the user base grows for these companies, especially here in the United States. So do I regret my switch? Not one bit! Initially I had a few moments of “My God what have I done!” when I sold off all my Canon gear, but I really haven’t looked back. Shooting with Fujifilm has truly been an amazing experience and has changed how I’m shooting in some respects. Getting out there with these new tools in hand has made creating images that much more fun, and being able to simplify my setup, having better creative control while not sacrificing quality, is truly a joy. If you’re still on that fence but not quite sure where to make the leap, the good news is companies that are leading the way in mirrorless, Fujifilm, Olympus, Sony, and Panasonic all have systems and sensors designed for just about any photographer. 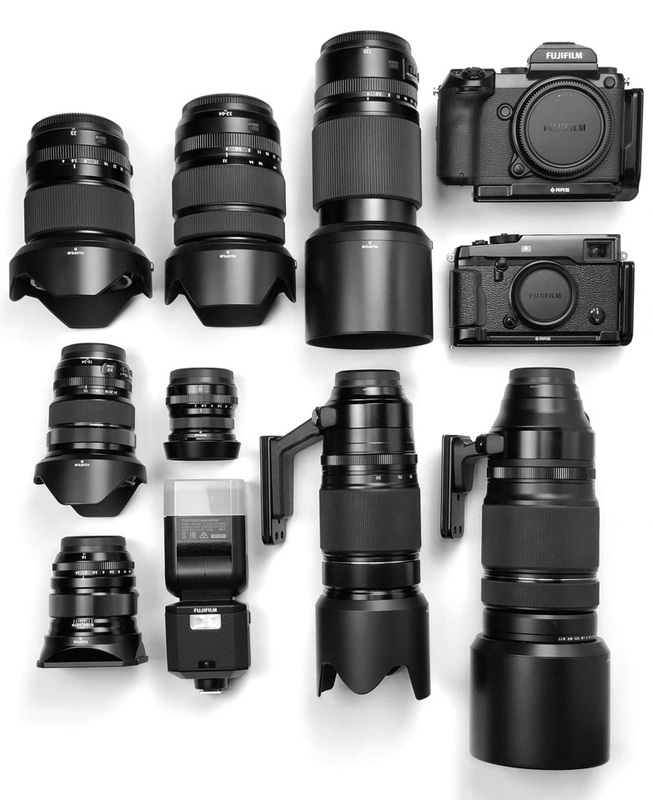 Whether it’s Medium Format, Full Frame, APS-C or Micro Four Thirds, you can find a system that fits your needs. The future of the DSLR? Nikon just released their 850 and Canon still has a 1DXmkII and 5Dmk4 in their lineup, some of the finest and most capable DSLRs ever produced. With that being said, those in the industry say this may be the last year of the DSLR. Going forward it appears both Canon and Nikon have no choice but to enter the mirrorless market professionally. They have drug their feet not wanting to canabalize their DSLR sales by neglecting to create a professional mirrorless camera and now the current rate of photographers jumping ship has drastically affected their market share. Will it be too late for Canon and Nikon? I don’t think so, but it may be an awfully long climb back out of an enormous hole they’ve dug for themselves. As for me, I’m more than happy with my switch and looking forward to posting some full reviews soon on Fujifilm’s APS-C and Medium Format systems! Hi Bruce, I have been very impressed with the full frame sensors and most sensors in general with mirrorless. I’ve shot Panasonic, Fujifilm both medium format and x series and Sony. I’ve finally settled with Sony and I’m more than happy with the sensor quality, color, and dynamic range. I shot Canon professionally for about 20 years so making a switch was tough! I don’t have personal experience mounting Canon lenses with adapters on other systems, but I do know that many working professionals were doing just that with Sony bodies and have had great results. I believe there may be some functionality losses with things like autofocus features, but other than that, you may look into to it. Hope that helps!